The Boat Club uses Westbere Lakes at Sturry, about two miles from the School. There is a boathouse for rowing, and another for sailing, shared with the local sailing club. Polo Farm Sports Club on the Littlebourne Road which is the home of Canterbury Cricket, Lawn Tennis and Mens & Ladies Hockey Clubs. Royal St. George’s at Sandwich, Canterbury and Broughton Golf Clubs. St. Lawrence Ground, home of Kent County Cricket Club. Birley’s Field, named after Norman Birley (Headmaster 1927-35) who bought the land in 1927, is the School’s main playing field. It comprises 22 acres and is used at various times for rugby, football, hockey, lacrosse, cricket, athletics and rounders. 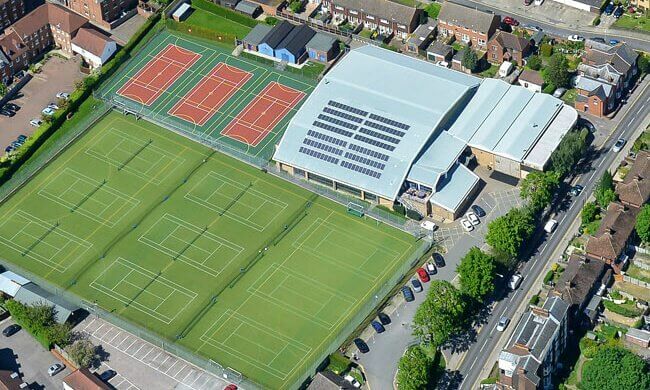 There are hard courts for tennis and netball; an artificial grass hockey pitch (also used for tennis courts); a grass athletics track with tartan field event facilities; and 3 grass cricket squares, artificial grass wickets and 24 practice cricket wickets. 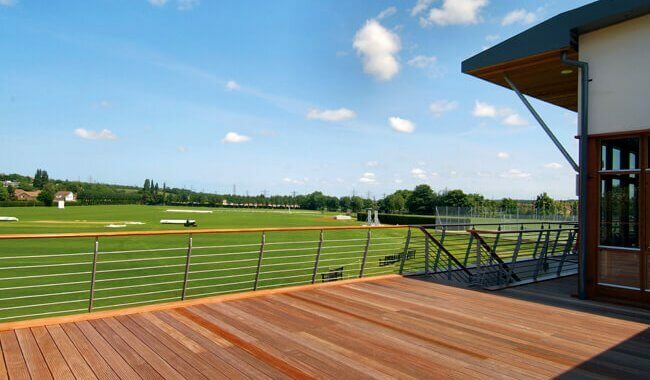 The pavilion was opened in September 2005 by David Gower. Blore’s Field, named after George Blore (Headmaster 1873-86), has been used by the School for over a hundred years. The Recreation Centre was opened in 1990 by the Duchess of Kent. Outdoor facilities: Climbing Wall; Tennis/Netball Courts; Artificial Grass Hockey Pitch (Autumn and Lent) converting to Tennis Courts (Summer); and a Shooting Range.